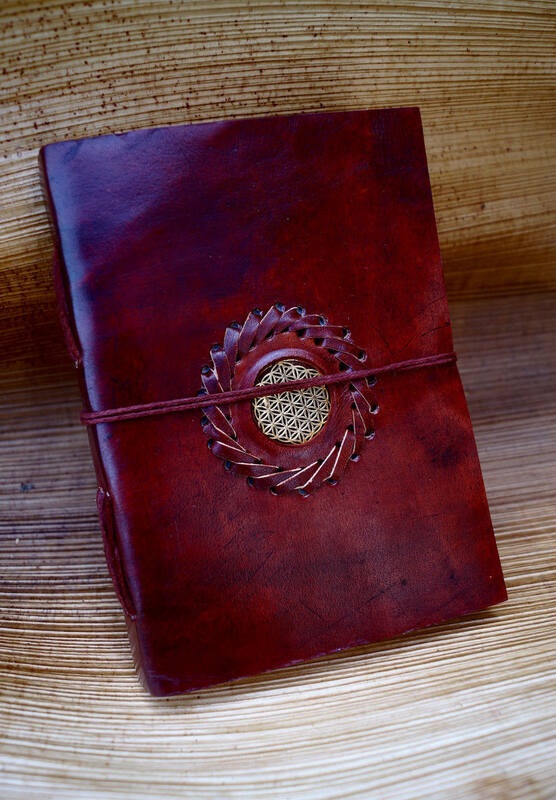 This magical, hand embossed, camel leather notebook is perfect to use as a diary, travel journal or to write down deepest feelings and thoughts. Every pattern is absolutely unique, the leather endures extreme weather conditions and it is lighter than it looks. 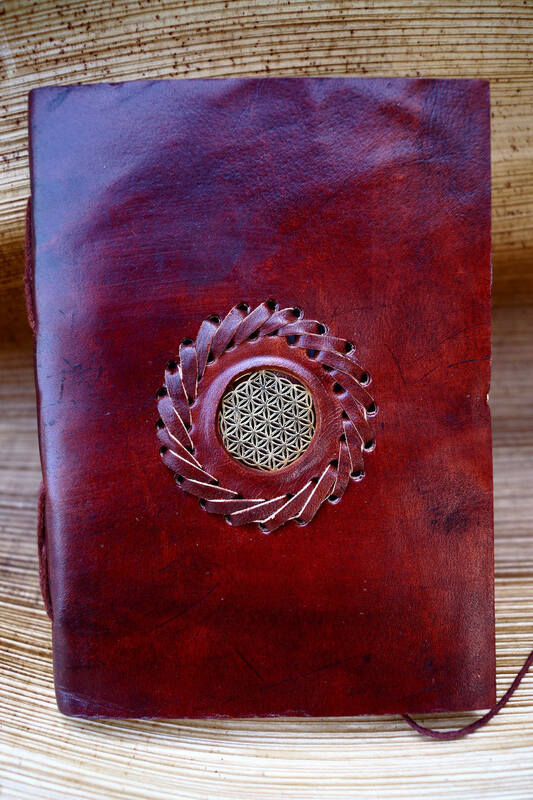 A flower of life mandala made of finest brass is set in the center of every notebook giving a distinctive character to each of them. The patterns are hand hammered and therefore absolutely unique. 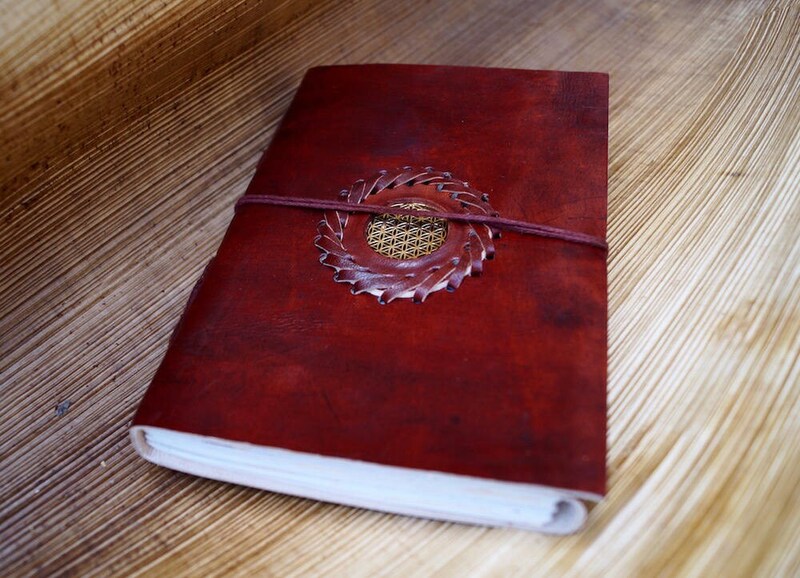 Every book has 160 pages made of recycled paper which is harmonious with the leather and the entire appearance. 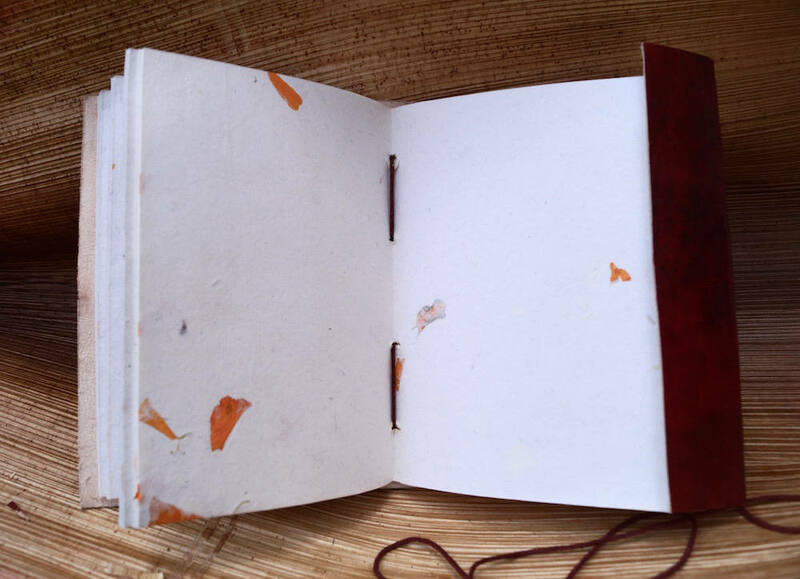 The pages are bound with a durable brown cotton thread which is also used to tie up the book. In my personal experience as a writer and traveler it is much more motivating to write down remarkable experiences and encounters with people in a beautiful book like this one is. I´ve been filling a few of those in a number of different places all over the world keeping my memories in a book as magical as the experiences were. Important for the use in daily life and on journeys is the size as many of these books come in too big and therefore quite inconvenient sizes. 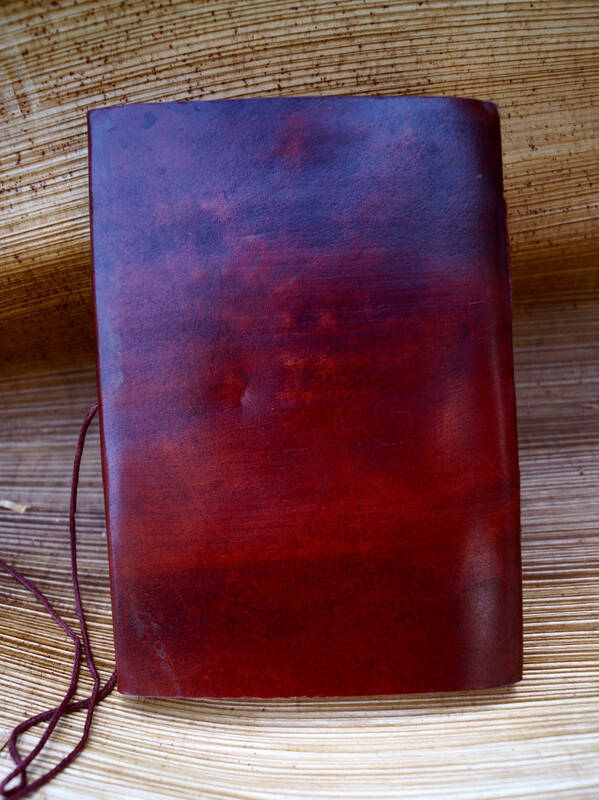 There is no question about there beauty but a good diary, journal or notebook should fit in any handbag, easy to carry around and pull out occasionally. The Flower of Life is the most known symbol of sacred geometry and it can be found almost all over the world in very different cultures as a mandala, painting, protection symbol, scientific explanation or religious symbol. It is visualized during a number of different meditations and healing techniques. We consider it to be the strongest protection symbol in sacred geometry. It is a shield of light against negative energy, strange entities, negative thoughts and depression. It enhances the ability to focus and balances all elements of life. It improves consciousness and well being. We, CatSam Jewelry believe in the unlimited power of sacred geometry. Wearing these symbols attracts positive energy/ vibration, provides protection, balances soul and mind and assists achieving higher states of consciousness improving the perception of other dimensions. We feel naturally attracted to sacred geometry no matter if we know about its meaning or not because subconsciously we know that these shapes are a part of ourselves and a key to the knowledge of our soul.